Sure, peanuts and Cracker Jacks are staples at baseball games but, these days, the menu at San Diego’s Petco Park goes far beyond the classics, boasting mouthwatering masterpieces from beloved, locally-grown brands. While there are no brand-new food vendors joining the roster at the ballpark this season, the dining lineup still includes local favorites whipping up everything from tacos and burgers, to pizza, barbecue, and ice cream sandwiches. Plus, there's a new ballpark beer in town. If you love pork, head straight for Carnitas’ Snack Shack at Petco Park, with locations in Section 128 and Section 228. The pig-out-worthy menu includes the eatery’s signature Triple Threat Pork Sandwich – a brioche bun stacked with pulled pork, bacon, pork loin schnitzel, pepperoncini relish and Shack Aioli – as well as the Carnitas Tacos, topped with guacamole, pico de gallo and lime. Also on the menu: the Carnitas Burger, Carnitas Tots, and the Smoked Bacon-Wrapped Hot Dog. The Snack Shack locations also serve draft and canned beers, canned wine and soft drinks. You can also grab grub from the spinoff Carnitas’ Snack Shack Bar, located in Section 126 and Section 226. Carnitas’ Snack Shack joined the concessions roster at Petco Park two years ago. The San Diego-based eatery runs a location along downtown’s Embarcadero and, for many years, ran its flagship restaurant on University Avenue in North Park. The North Park location recently underwent a rebranding, opening last week as The Porchetta Shack, Eater San Diego reported. The menu there now revolves around, as the name suggests, porchetta. Among San Diego’s many top-notch Mexican eateries is Lucha Libre Taco Shop, which has three locations inside Petco Park: Section 119; Section 120; Section 227. Here, fans will find the brand’s epic Surfin’ California – a burrito filled with grilled steak, grilled shrimp, fries, pico de gallo, jack cheese, avocado slices, and Secret Chipotle Sauce. Also on the menu: the Classic California Burrito, Surf & Turf Taco, and Steak Taco. The Lucha Libre locations at the ballpark serve canned beer, soft drinks – including horchata – and a 16-ounce specialty cocktail called the El Padre Margarita. Lucha Libre launched in San Diego in 2008, opening its colorful, Mexican wrestling-themed location along West Washington Street in Mission Hills. Today, the family-run company – helmed by the Rojano brothers – operates shops in North Park, Carlsbad and, starting this week, at The UnCommons dining space at the newly revamped Sycuan Casino in San Diego’s East County. Over the years, Lucha Libre has also been featured on foodie-centric TV shows on the Travel Channel, Food Network and Cooking Channel. If you’re looking to indulge your sweet tooth during a ballgame, The Baked Bear in Section 124 is a solid choice. The stand serves the brand’s specialty: Custom Ice Cream Cookie Sandwiches boasting ice cream squished between two fresh-baked, original-recipe cookies. The Baked Bear, co-owned by childhood friends Rob Robbins and Shane Stanger, launched its monstrous sweet treats in 2013 in Pacific Beach. Today, the company also runs San Diego-area locations in Carmel Mountain and Carmel Valley, plus nearly a dozen other franchises in California and a few shops in Arizona, Oklahoma, and Maryland. The ice cream treats can also be ordered with brownies or doughnuts and can be rolled through toppings like cereal, Nutella and candy. One word: Cheesesteaks. Gaglione Brothers – a local, family-run company specializing in cheesesteaks and sandwiches – has been stacking subs at Petco Park since 2016. Fans will find the scrumptious sandwiches at Section 124 and Section 319; the menu includes a few of the brand’s most popular cheesesteaks – American Cheese; Cheez Whiz; American & Mushroom; Cheez Whiz & Mushrooms – plus Garlic Fries, Cheez Whiz Fries, and Cheez Steak Fries. Draft and canned beer, canned wine, and soft drinks round out the offerings here. If you only have eyes for fries, you can find the Gaglione Bros. Fry Stand at Section 101 and Park at the Park, offering a few different fries and drinks. The steaks have the fries surrounded. Pizza Port has been churning out gooey, hot slices at Petco Park since 2015 and currently runs four locations at the ballpark: Section 121; Section 213; Section 311; Section 320. On the menu, pizza enthusiasts will find slices of classic cheese and pepperoni, plus the Speciality Pizza Slice. There’s also the Big Kid Meal – which includes a slice of pizza and a 20-ounce Pizza Port draft brew – and the Lil’ Kid Meal, which includes a slice and a soft drink or water bottle. Fans can also find traditional ballpark snacks at these stands including hot dogs, kettle corn, peanuts and Cracker Jacks. Pizza Port beer is on tap here, too, as well as canned options. Pizza Port, a project of siblings Gina and Vince Marsaglia, began in the late 1980s in Solana Beach. Vince Marsaglia used the restaurant’s storage space to pursue his hobby of home brewing and, by 1992, Pizza Port was pouring its first craft-brewed beers to patrons as San Diego’s beer scene began taking shape. Today, in addition to Solana Beach, there are Pizza Port locations in Carlsbad, Carlsbad, Ocean Beach and San Clemente, California. 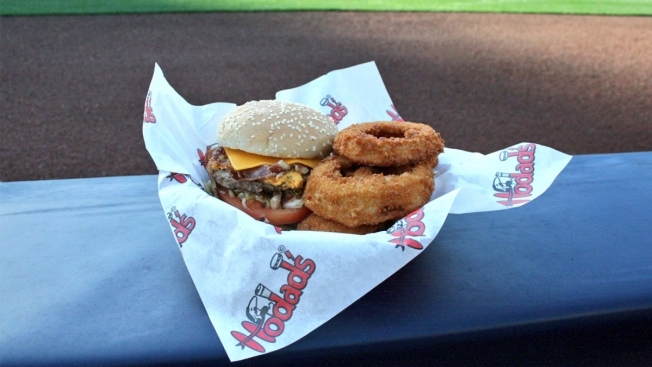 Hankering for a burger at the ballpark? Try hometown favorite, Hodad’s, which has five locations at Petco Park: Section 104; Section 131; Section 300; Section 316; Section 325. On the menu, fans of the big, juicy burger brand will find the Single Bacon Cheeseburger, Single Bacon Burger, Single Cheeseburger, Single Hamburger, Veggie Burger, Chicken Strips & Fries, and Onion Rings. All of the burgers at the ballpark come with classic fixings – mayo, mustard, ketchup, onions, pickles, tomatoes and lettuce – unless you order otherwise. The Hodad’s kiosks also serve draft and canned beer, canned wine and soft drinks. If you’re a San Diegan and you love hamburgers, you know about Hodad’s. The eatery opened its doors in 1969 in Ocean Beach and was owned by the late Mike “Bossman” Hardin until his death in February 2015. Today, in addition to its famous OB shop, Hodad’s has locations in downtown San Diego and, also new this week, at The UnCommons at Sycuan Casino. Hodad’s has been featured on TV, too, on an episode of the foodie show, "Diners, Drive-Ins and Dives." 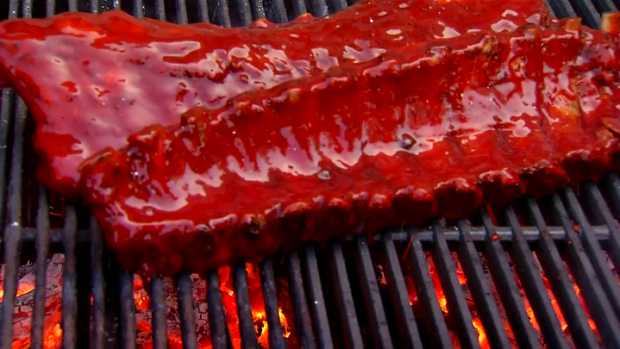 A San Diego staple since 1998, Phil’s BBQ serves its top-notch barbecue at several locations at the ballpark: Section 113; the rooftop at the Western Metal Supply Co. Building; Park at the Park. The Petco Park menu includes signature dishes like the Quarter Baby Back Rib Dinner, the BBQ Broham Sandwich (pulled pork), the El Toro Sandwich (char-grilled, deli-sliced tri-tip), and the Chick-Less Tickler (chunks of white meat chicken seasoned and barbecued). Patrons will also find all sorts of tasty sides, such as fresh-cut fries, coleslaw, macaroni salad and Phil’s famous Colossal Onion Rings, plus draft and canned beer, and soft drinks. Phil’s BBQ operates locations in Point Loma, San Marcos, Santee, Rancho Bernardo, the San Diego International Airport, and, starting this week, at The UnCommons at Sycuan Casino. The company has been churning out BBQ bites at the ballpark since 2013. That same year, Yelp said Phil's BBQ was ranked No. 2 on a list of the most-reviewed businesses in the United States. New and popular eateries inside Petco Park keep Padres fans happy. Consumer Bob takes a look at what new restaurants are inside the ballpark. Fans will be able to order the beer at the ballpark beginning on Opening Day and Ballast Point will make it available in a 6-bottle pack around San Diego through baseball season. By the way, if you’re looking to enjoy a craft beer at Petco Park along with your food, check out Craft Beer Row at Section 101. There, you’ll find some heavy hitters from San Diego’s beer scene, including Ballast Point, Iron Fist, AleSmith (get in the spirit and try the Tony Gwynn-inspired San Diego Pale Ale .394), Mike Hess Brewing, Pizza Port, Resident, and Karl Strauss. Here's to a great baseball season, San Diego -- and plenty of good eats to go 'round. Play ball!